A company known for its innovative social media work has been purchased by one of the biggest social media sites on the web. Twitter has acquired Niche, a talent agency that connects brands to online stars. 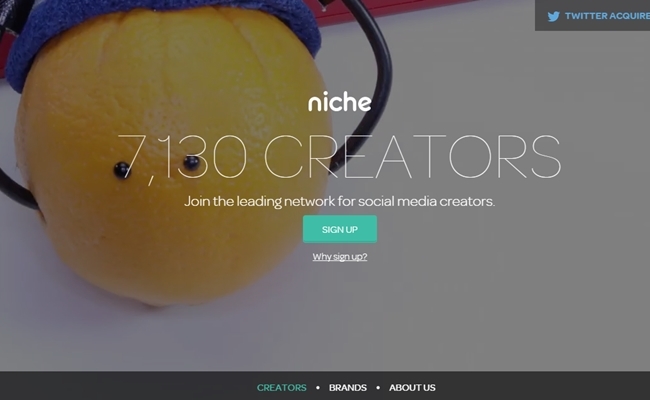 Niche acts as a matchmaker that pairs companies with the social media influencers who best fit each particular brand’s message. This process results in campaigns that allow brands to efficiently reach out across social media while also providing a strong opportunity for creators who are otherwise reliant on ad revenue. Niche is hardly the only company offering this service, but its easy-to-use marketplace places it among the best offerings in its field. In total, it connects more than 6,000 social media accounts to more than 100 brands. Many of those accounts live on either Twitter or Vine, the six-second video capture platform owned by Twitter. Therefore, by acquiring Niche, Twitter can profit from a service that is already interwoven with its content. It can also present Niche to advertisers, many of whom are eager to work with influential social media stars. Terms of the acquisition were not disclosed, though Recode claims the deal to be worth between $30 million and $60 million.